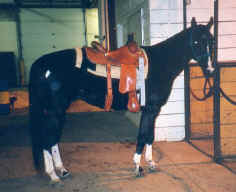 A professional photo of Joker (JS Robins Vandy) at Olds College back in 1999. 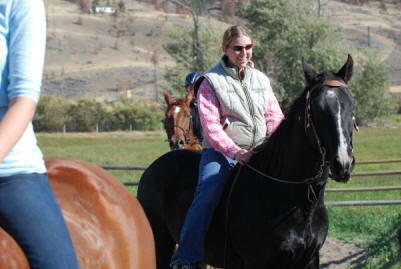 Cheryl and Joker at Hat Creek Ranch riding in the ride a buck competition. 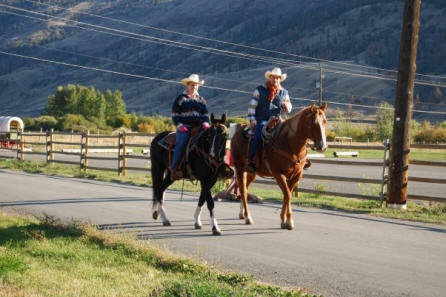 Cheryl on Joker and Pete on Breezer riding at Hat Creek Ranch, September 2008. 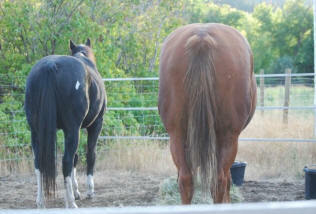 The behinds of Joker and Breezer and Hat Creek Ranch 2008. This is Joker at Olds College in 2000 getting ready to go out and do some cutting. 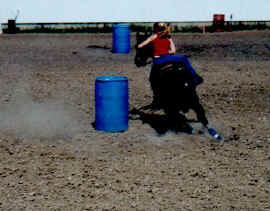 Here is Joker and I barrel racing at Lakedell, AB in 2002. 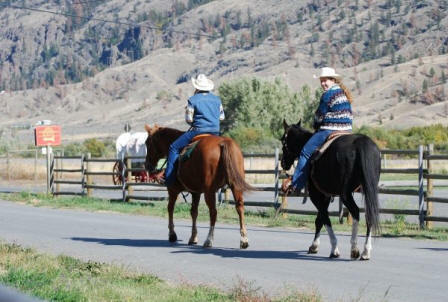 Now Joker and I mainly focus on barrel racing, roping, ranch work, and trail riding. We hope that he will be a good horse for Ellie to ride in little britches in years to come.